TM LEWIN opened its men’s boutique at the Menlyn Shopping Mall, Pretoria, recently. Man about town. TM Lewin shirt and suit retail launched its men’s boutique at Menlyn Mall. This is part of the British company’s investment in South Africa since its launch in 2013. 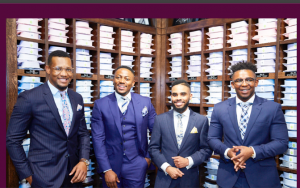 The shirt and suit retailer’s collection are also available through Edgars stores, as part of its twenty stores- in-stores planned deal. At the opening launch, TM Lewin brand manager Nathaniel Ward gave a brief introduction on the brand. “This is a specially, dedicated boutique store for men. This is part of the company’s investment opportunities in South Africa, and we’re grateful this exercise has bore fruit. SA has become fashion conscious and as a company, we could not afford to miss this opportunity to have our brand being one of the sought after in this beautiful country,” he said to ululations and whistling from few selected guests. 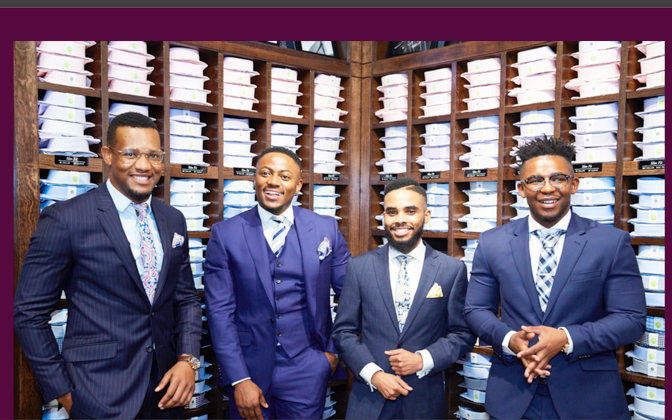 Actors and brand ambassadors for the brand Kay Sibiya and Muvhango star mingled with suit fanatics, fashion stylists, media, bloggers and corporate guests, whereas Siya Beyile from Threaded Man gave a style pep up talk. Geoff Quinn, chief executive of T.M Lewin was once quoted in 2013 at the deal signing ceremony that he saw “great potential” in the South African market.